5095 Performance Resin, 4.33" x 98' Black Resin Ribbon. Compatible with P4T and RP4T Printers. Single ribbon. Used with polyester labels. Also available as a case (Part# 05095BK110D). 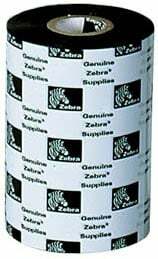 5095 Performance Resin, 6.06" x 1,476' Black Resin Ribbon. Compatible with Industrial Printers. 6 ribbon case. Used with polyester labels. Also available as a single roll (Part# 05095BK15445-R). 5095 Performance Resin, 8.66" x 511 feet, 6 roll case. Also available as a single roll (Part# 800037-003-R).